Home > Blog > News and Updates > What Is Your Long-Term Care Plan? 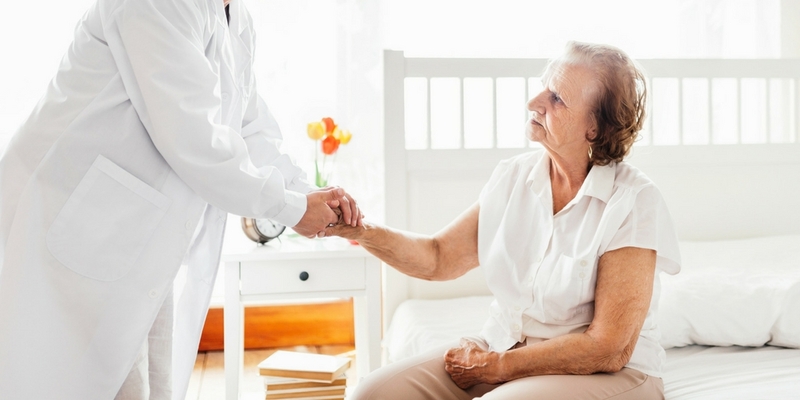 How Much Will Long-Term Care Cost Me? Long-term care costs are so high that they could potentially wipe out a bulk of your retirement funds. On average nationally, it costs $253 per day or $7,698 per month for a private room in a nursing home. (2) Furthermore, because of their longer life expectancy, women pay significantly more for long-term care. The average amount of time women require long-term care for is 3.7 years (or around 44 months), adding up to $338,712 in expenses. (3) For men, who need long-term care for an average of 2.2 years (or around 26 months), that equals $200,148 in expenses. For assisted living, the average monthly cost is $3,628, but it can range upwards of $5,000 per month. (4) And by 2026, the average cost is expected to increase to $4,876 per month. These costs can vary based on the level of care and amenities needed, as well as the size of the room and the location. Whether you’re worried about potential health concerns or want to protect your hard-earned wealth, it’s important to understand the long-term care insurance options available to you and whether or not a policy makes sense for your lifestyle and needs. Long-term care coverage isn’t cheap either, but it pales in comparison to long-term care costs. Here are some options to consider when creating your long-term care strategy. With traditional long-term care insurance, you pay a premium in exchange for the ability to receive benefits if they are needed. If you need long-term care at some point, the policy provides you with money to pay for it. If you never need long-term care, then you receive no benefits. It’s a “use-it-or-lose-it” policy. You can choose the level of insurance you want and select the daily benefit amount for care in a nursing home. You can also add home-care coverage if that is a priority for you. In order to choose the right coverage amounts, you need to know what the cost of long-term care looks like in your state. For example, a private room at a nursing home in Texas will cost an average of $10,000 a month, and hiring a home health aide could set you back over $50,000 for the year. You must also decide on the length of time you want the benefits to be paid. Common options are one, two, three, or five years, or for your lifetime. Logically, the longer the benefit period, the higher the premiums you will need to pay. Your policy will also indicate “benefit triggers,” or conditions which must exist in order to receive benefits from the insurance company. A tax-qualified plan only pays benefits once you are unable to perform two of six activities of daily living without substantial assistance for at least 90 days, or have a cognitive impairment like Alzheimer’s. Non-tax-qualified plans may have less restrictive benefit triggers. If you want, you can have your benefits increase with inflation to match future care costs. It is also important to note that premiums can increase as they are not usually set in stone. With a traditional long-term care policy, people sometimes feel that if they buy it and don’t use it, they have wasted their money. Because of this, several hybrid products have emerged. One very popular solution is a life insurance policy with a long-term care rider. This strategy is enticing because if long-term care is needed, the funds are available through your policy’s death benefit. If you don’t spend the total benefit available, your beneficiaries will receive the balance upon your death, thus no wasted money. If you need life insurance, getting your long-term care coverage as a rider may be a good option. This way, someone will be benefiting from the premiums you are paying, whether it is you or your heirs. If you don’t need life insurance, another combination product may be better suited to your situation. If you purchase a variable annuity, you may have the alternative of adding a long-term care rider onto the contract. Since 2010, the IRS allows for the long-term care portion to be used tax-free. After purchasing the annuity, you would select the amount of long-term care coverage you want, often two to three times the face value of the annuity, as well as the length of time you want coverage. Finally, you have to decide if you want inflation protection. This option makes money available to you if you need long-term care. Otherwise, you can cash out the annuity when it matures (in which case you would lose your long-term care coverage), or let it accumulate and ultimately pass on the assets to your heirs. Obtaining long-term care coverage through an annuity can be appealing because it is generally less expensive than stand-alone insurance and you can receive coverage without medical underwriting. Annuities tend to be less common than the other choices, though, because of the current low interest rates and the large up-front investment. Consider starting a savings plan specifically for future healthcare needs. One option is to create a separate, high-yield savings account and contribute a specific amount every month, building a contingency fund for whatever healthcare expenses come your way. If you end up not needing long-term care, the money is still yours and can be used for your living costs, unexpected expenses, or an inheritance for your heirs. Regardless of the product you choose, the important thing is that you start planning for this critical aspect of retirement. Thinking about the need for long-term care can be deeply unsettling and confusing. That’s why we are here to help review your long-term care options to make sure you have the coverage you need. If you have questions about long-term care insurance or want to review the policies you currently have, book a free introductory meeting online!